Furthermore, reading a book about Zen is no way to get to really know or understand Zen. We can substitute the word “Enlightenment” for Zen in all of the above statements. To talk about Enlightenment, to write about it, to read books it is no way to truly understand Enlightenment. I suspect the author of this book, a down-to-earth, working-class British man by the name of MARTYN WILSON, would agree. No one else can describe for you or explain Enlightenment. No one else can give it to you. You can only find it for yourself. And once you find it for yourself, you’ll never in a million years be able to fully explain to someone else just exactly what it is that you have found. Why, then, did Martyn Wilson write this book? Indeed, why have whole forests been cleared by gurus, shamans, yogis, monks, teachers, etc. — all writing books about Enlightenment? For something that can never be truly explained, people sure like to blather on about it endlessly. It can’t be explained, can’t be done … but Mr. Wilson certainly makes a heroic effort in this slim volume. And you know what? He comes as close as anyone or book I have read to giving the reader an inkling of what Enlightenment might be, and how to at least start your journey toward getting it for yourself. But let me struggle on. So if I say that Martyn Wilson has written an excellent book and that these pages are a good place to start on your search for Enlightenment, I am already veering off track and headed for the ditch. If you think you have to “start a journey to Enlightenment” then you are already lost. Also, if it is anything that is “out there” — such as a book, seminar or some guru, then that is something that is “outside yourself” and will do you no good. At the same time, I will dare to say: This is as good a book to read as any if you want to seek Enlightenment. After all, Mr. Wilson’s started somewhere, albeit someplace unusual — an all-out effort to prove that there really is no such thing as Enlightenment! It was his wife who was really into all this stuff. She was one of those people who was deeply involved in reading books on the subject, going to seminars, practicing meditations, and so on. Wilson thought his wife’s pursuit was 100% preposterous. Thus, he became determined to do everything he could to prove that all this stuff was just a bunch of baloney — a loony pile of eastern-religious-mystical nonsense for modern-day hippies and delusional New Age flakes. He did tons of research on the Internet, read books, and then started testing methods, such as meditation and other “techniques” to show that they did nothing for anyone. Indeed, he found meditation to be worthless in his own case. But then Mr. Wilson stumbled upon a certain method that seemed so simple and ludicrous, he called it “laughable” — and yet he tried it anyway, and (laughable or not) kept at it for weeks and months on end. And guess what? Martyn Wilson was stunned one day to find that he had become Enlightened! I’m going to say no more because I don’t want to give too much away. I would encourage all readers to buy, discover and encounter this fine and delightful book for yourselves. 1. His comments on the subject of forgiveness may cause some people to have a brain aneurysm! 2. His opinion on the subject of non-duality is unique, bold and matter of fact! Not to be missed! I like it when an author of a book about Enlightenment manages to break new ground. Martyn Wilson does it. This is one of the best books on the topic since the sublime LAZY MAN’S GUIDE TO ENLIGHTENMENT by THADDEUS GOLAS. If it’s not as profound as Shunryu Suzuki‘s masterpiece ZEN MIND, BEGINNER’S MIND, it packs a similar punch in a more “common-working-man” sort of way. Go ahead, get the book, have a read — just don’t expect this to be your road map to Enlightenment. There is no road map. This entry was posted in Uncategorized and tagged awareness, British authors, consciousness, enlightenment, Martyn Wilson, meditation, philosophy, self help, spirituality, Suzuki, Zen on March 8, 2016 by admin. The dukkha is the agony of the self. It’s that all-pervasive, undefinable pain and misery we feel that seems to come from everywhere and nowhere. It can be depression, it can be anxiety, it can be alienation, it can be a nagging sense of dissatisfaction, it can be loneliness, it can be persistent anger and contempt for others. Many people today attack this suffering by reading the reams of self-help books on the market today. There’s never a shortage. Suffering is a universal phenomenon and wherever you find a universal problem, you’ll find hundreds of people offering a solution. His goal is to make this book different – more practical, effective, useful and leaving the reader with genuine tools that will get the job done – the relief of suffering and the discovery of greater spiritual meaning. Does he succeed? Yes, in part, I think he does. His approach is at times brutally honest and sincere. His effort to penetrate to the fundamental elements of what makes us unhappy – and provide solid solutions — is downright heroic. MAXIMUS FREEMAN is clearly an author who deeply cares about his readers. He honestly wants to help you by showing how he tried to help himself. He gets the job done partially with a lot of heavy leveraging of other self-help luminaries who are giants of the field – he quotes liberally from Gary Zukav and Dr. David R. Hawkins, for example. But he also dabbles in a bit of light channeling, connecting with a source he calls “The Universe,” from which we get insights in a question and answer format. I don’t give this book my tip top rating only because I set the bar very high in this genre. As we all know, entire forests have been cleared to accommodate the truck loads of self-help books published year after year, decade after decades. Consciousness Archaeology, although a fine book, is not destined to become a classic of the field. The structure of the book is a tad disjointed and uneven. I also found more than a few points I might quibble with, which I won’t air here – but when a book is just a 100 pages, it should have that power-packed “this is a home run” feeling or “this is a small gem” aura, which it just doesn’t have for me. For example, “The Lazy Man’s Guide to Enlightenment” by Thaddeus Golas is about 80 pages, and after reading it you think: “All my problems are solved! Everything is so crystal clear now! I’ll never have to read another book again!” Other classics come close this feeling, such as “As a Man Thinketh,” by James Allen or “Acres of Diamonds” by Russell Conwell – and these latter three masterpieces are available for free across the Internet. Let me just say, however, that I would recommend anyone buy and read Consciousness Archaeology. The way it work for people who are seeking answers through reading a lot of books is this: You never know when you’ll find that one book that really clicks for you; something that just happens to resonate with you in just the right way at the right time. Consciousness Archaeology may be the book you need right now that has that certain something you need to hear at this moment in your life – you never know. 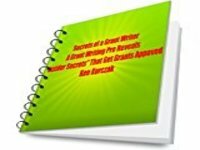 This entry was posted in Uncategorized and tagged book review, channeling, Consciousness Archaeology, ebooks, enlightenment, Gary Zukov, Kindle books, Maximus Freeman, New Age, psychology, self help, spirituality on April 4, 2015 by admin. I experienced a minor synchronistic “mind blast” while reading this book. Sometimes an author’s style will remind me of another writer, but I can’t put my finger on it right away. In this case, it had been nagging at me for some 250 pages, like a steady itch. Then suddenly on page 255 it crashed into my mind: CLIFFORD SIMAK! That’s it! Ahhh! The itch was scratched! I don’t mean to make too much of it, but it was just one of those tiny “That was a neat feeling!” moments of synchronicity when you get buffeted unexpectedly by a wave on the ocean of Universal Consciousness. Anyway – after 250 pages of BABE IN THE WOODS – I think anyone would become more in tune to transcendent wavelengths. 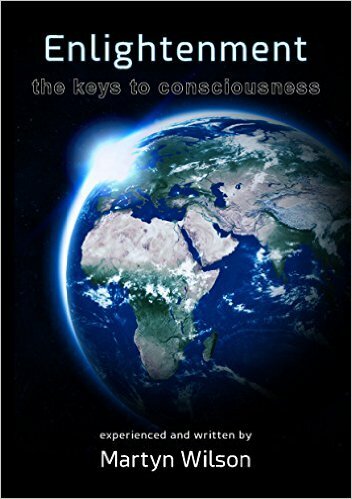 This book not only gives you an idea of what it is like to tap into expanded consciousness, but dishes out insight after insight – it actually makes you feel what it might be like to push yourself to the edge of higher consciousness – a rare literary feat. 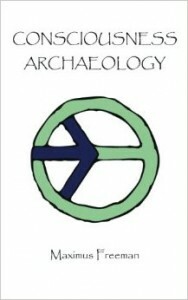 It tells the story of an ordinary group of people from widely divergent walks of life and professions who come together to challenge themselves – to open up their minds, to reach for new concepts, to expand what it means to be an “ordinary” human being in our dreary world calcified by scientific-materialism. The model for the situation is a real-life program offered by THE MONROE INSTITUTE of Faber, Virginia. The Monroe Institute is an organization founded by the late ROBERT MONROE who became famous after publishing his first book about his experiences with out-of-body travel. Perhaps no other books on astral travel have been more influential. 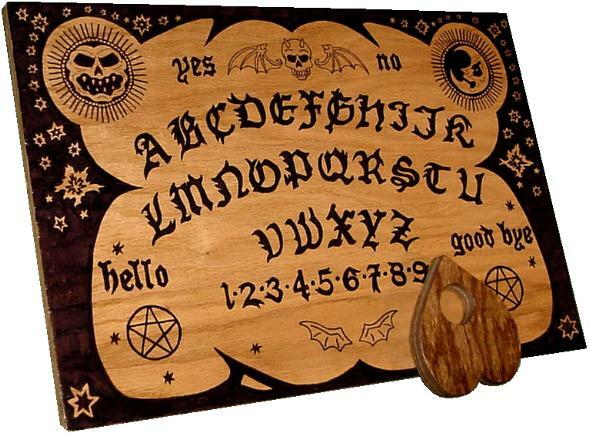 Part of the reason is that Robert Monroe had never been a mystic or associated with any of the established traditions (such as Theosophy, for example, or Eastern religions) which trucked in arcane dabblings like “soul travel” (which also had scary occult overtones for many mainstream folks). Monroe was no-nonsense, successful businessman who had made a considerable fortune in the burgeoning 1940s-50s world of radio. He was an entirely grounded, nuts-and-bolts kind of guy. However, in the late 1950s, he began to undergo unwanted spontaneous out-of-body experiences. This prompted the pragmatic Monroe to launch into an intense study of what was happening to him. The eventual result was the establishment of the Monroe Institute. Its original purpose was to study the OBE and all of the mind-boggling implications which fall out of the possibility that our physical bodies are not “all that there is,” and indeed, that what we perceive as physical-material reality is not nearly all there is to consider. The Monroe Institute developed a number of methods, mostly centered on sound technology that was designed to help any person achieve a state of higher or altered consciousness. These sound technologies leveraged something called binaural beats – and I won’t go into detail here about them, except to say that it was demonstrated that when people listened to binaural beats through headphones while in a highly relaxed state and in a supportive environment, the result could be an out-of-body experience, or some kind of realization of transcendent thought – in short, an expansion of the mind. This is an incredibly ambitious book because it necessarily must employ a large group of characters – some two dozen people involved in the program – whom the author is tasked with not only introducing us to, but must rely on the reader’s patience as he builds them into believable characters of some depth, enough so that we can care about them and learn from them later. 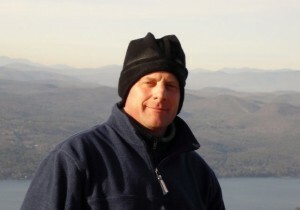 The viewpoint character is modeled on the author himself — DeMarco is a veteran of several Monroe Institute programs. DeMarco’s fictional incarnation is Angelo Chiari, a reporter with the Philadelphia Inquirer. The premise is that his editor sends him to the Merriman Institute to do some stealthy investigative journalism – and hopefully come out with an expose that might blow the lid off the weird snake oil the Institute is most likely selling to gullible people with enough money and desperation to seek answers to life anywhere. But these journalist are professionals – both editor and reporter are not out to do a pre-determined hack job. Rather, they intend to get the story in a fair and objective manner. They’ll go where the facts lead them. If reporter Angel Chiari finds a legitimate program – he’ll write about that. If not, it’s blast away with both journalistic barrels. He very much expects it to be the latter, however. Chiari’s career is okay, but on cruise control. His work has long since become bland and meaningless. The heat of his decades-long marriage has cooled to a husband and wife more akin to roommates. His relationship with his children is shallow and distant. Chiari holds no particular cherished beliefs. He’s a rational-materialist cog in the post-modern machine. He gets up every day and goes through the motions, running out the time clock on his life. His existence is like a tasteless block of tofu. Perhaps it’s his training as a journalist that saves him – his fundamental dedication to objectivity leaves the door open just enough for Chiari to approach the Merriman program with an open mind and reserved judgment. That small crack in that door is enough for the Larger Consciousness System (to borrow a term from physicist Tom Campbell) to send Chiari tantalizing, subtle clues to convince him that, by golly, there might be something more to his existence – something remarkable.. This is the fourth Frank DeMarco book I have read. His writing style puts me in the mind of not only Simak, but also Sinclair Lewis (winner of the Noble Prize for Literature). That’s because there is a certain workmanlike doggedness to the way DeMarco hammers out his themes, and the way he develops and cobbles together his messages. DeMarco somehow leverages the necessarily mundane and uses it to fetch glimpses of the transcendent. He is like a grounded, unspectacular Prometheus stealing fire from the gods, but bringing it back to us with the stolid work ethic of a UPS delivery truck driver. I’m guessing that Babe In the Woods, published in 2008, has since found only a small audience, but I can imagine it developing an ardent cult following – much in the same way that A VOYAGE TO ARCTURUS by Scottish writer DAVID LINDSAY has persisted and moved people since it was published in 1920. You might be wondering how I can compare the syrupy surrealism of Lindsay’s ‘Voyage’ with DeMarco’s more staid ‘Babe,’ but I would challenge the reader to read both — tell me if you don’t see that, in a weird way, both works have the same heart. Clifford Simak, Sinclair Lewis, David Lindsay — Frank DeMarco stands with guys like these in the literary world – and that’s not a bad place to stand, indeed. 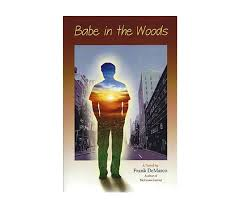 This entry was posted in Uncategorized and tagged astral travel, Babe In The Woodsm book review, consciousness, fiction, Frank DeMarco, literature, New Age, OBE, Robert Monroe, spirituality, transcendental literature on February 4, 2015 by admin. This is a fascinating book because it is anchored by a story that seems almost too sensational to be true, yet the evidence would seem to indicate that it is true. 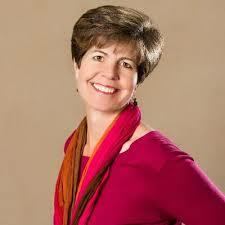 Author and professional medium Suzanne Giesemann also brings an added aura of credibility — her former career as a high-ranking U.S. Naval officer provides a sense of grounding – here seems to be a no-nonsense person we can trust to be level-headed, honest and highly responsible. Before taking on the life of a professional speaker-to-the-dead, Giesemann spent 20-years in military service, retiring with the rank of Commander. She served at the highest levels; she was Aide to the Chairman of the Joint Chiefs of Staff. Anyone not knowing her background, and upon reading this book, might peg her as among the most airy-fairy of New Agers. 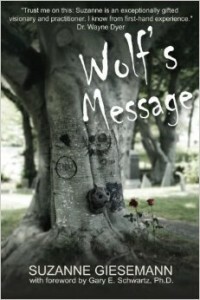 This book, Wolf’s Message, has it all – all the (seeming) New Age fluff it can muster, and more. There’s channeling of the dead, communication with advanced collective beings, angels, psychic phenomena, trance states – and so many of the common accouterments of New Agers – power crystals, dream catchers, runes for casting, angelic clouds, mandalas, sacred geometry, Hemi-Sync CDs – it’s almost as if the author used went into one of those New Age trinket shops in a place like Sedona, Arizona, and bought `one of each,’ then worked them all into her narrative. But the real foundation of this book is the astounding details surrounding the death of a young Plymouth, Massachusetts, man by the name of Mike Pasakarnis, who went by the nickname “Wolf.” He was struck dead by a freak lightning bolt. Remarkably, this is the same way the step-daughter of the author died. Giesemann’s step-daughter was a sergeant in the U.S. Marines at the time. But that’s just one of the eye-popping confluence in this story. The details of Wolf’s death, his prediction of his own death, the seemingly incontrovertible evidence of that, his after-death communication – it will all blow your mind. I don’t want to give away too many details and ruin this read for anyone, but the circumstances of Wolf’s death, and Giesemann’s subsequent afterdeath communications with him, are intriguing, to say the least. Note that Giesemann calls herself an “evidential medium.” That means she’s all about getting the hard facts – solid, undeniable proof that the voices she hears in her psychic head must be and truly are the spirit of the dearly departed. 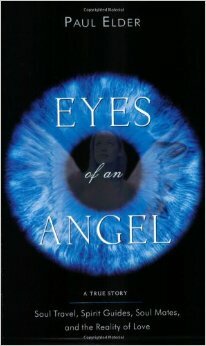 It is important to note that this book goes well beyond the scope of merely communicating with a deceased person and passing on that information to his grieving parents – Giesemann uses the overall scenario as a platform to deliver up much wider, deeper and more penetrating spiritual lesson for her readers. If you ask me, her prose is a bit over-the-top. Her style comes off as super-sticky-sugary New Agey schlock. Here enthusiasm is almost tiring – practically on every other page Giesemann reports being “stunned!” “astounded!” “awestruck!” “weeping with gratitude!” “blown away!” “blissful!” – the superlatives just keep gushing forth, as if a dam holding back a lake of Holy Water has breached. But you know what? That’s okay. Suzanne Giesemann is clearly all heart. She’s a sincere-to-the-bone explorer of transcendent realms. She is driven to bring us a message of unstoppable, monumental cosmic hope. Why hold back? This entry was posted in Uncategorized and tagged afterdeath communication, Afterlife, book review, channeling, crystals, ghosts, healing energy, medium, New Age books, philosophy, spirituality, Suzanne Giesemann, Wolf's Message on January 9, 2015 by admin. 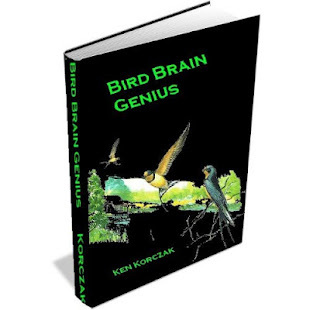 So here I am reviewing another book by a man with ties to the MONROE INSTITUTE, the consciousness research and training facility in Faber, Virginia. Like so many others, PAUL ELDER, a Canadian and former TV broadcast personality, was inspired by reading “Journeys Out Of Body” by Robert Monroe, the namesake of the Institute. But Elder said he all-but forgot about the book after reading it years ago. Then he unexpectedly encountered his own spontaneous out-of-body experience. Suddenly, that strange but somewhat unbelievable book didn’t seem so unbelievable anymore. Elder went back to the library and re-read all of Monroe’s books – and so began his own personal journey into the “astral realms” and beyond. Here you will find many of the same experiences reported by other famous Monroe Institute alums – the experience of the soul (or energy body, or second body, or choose your term) leaving the physical body behind to hover around the bedroom, float through walls and go soaring through the local earth-like environment. Eventually, the explorer graduates from mere “fooling around” inside his own home or the immediate environment to penetrate more exotic realms – higher plains of existence, upper levels of spiritual dwelling, cosmic libraries and the abodes of other earthlings who have passed on. Angelic beings and entities that defy categorization are also encountered. Still, the author brings enough of his unique personality, personal history, story and background to make this a more than a worthwhile, inspiring read. There is no doubting Elder’s passion for his subject, his sincerity, and I believe, the authenticity of experience. In addition to his OBE experiments, Elder tells of three harrowing brushes with death which resulted in near death experiences (NDEs) — a drowning, a car accident and a heart attack. Elder’s NDE elements add dimension to the big issues conjured by altered states of consciousness sought out in a proactive way. One last thing: The writing itself is clear and straightforward, but Elder occasionally rises to higher literary heights with descriptions of the mysterious astral realms. At times, his words shimmer and scintillate across the page – it’s no small challenge to relate the exotic experience of the OBE, describe strange environments, and explain trans-psychological processes. I give high marks to this author for rising to the challenge when he needs to. If you are like me, and can’t get enough of these kinds of books, then you must have this volume in your collection. This entry was posted in Uncategorized and tagged angels, astral travel, book review, Canadian writers, ebooks, Eyes of an Angel, Kindle books, Monroe Institute, NDE, New Age books, OBE, Paul Elder, soul travel, spirituality on January 2, 2015 by admin.